 In Seattle Central College's Wood Technology Center, you'll discover the luster and luxury of hand-crafted boats, custom homes, original cabinets and more. You will receive all-inclusive training including safety, skills, tools and materials. Our five-quarter Associate of Applied Science (AAS) degree programs prepare students for living-wage jobs in high-demand fields. Cabinetmaking & Architectural Woodworking: This degree program combines precise technical instruction with hands-on shop experience. You’ll learn valuable skills in project layout, machining, construction and finishing techniques. Carpentry: This degree program gives you hands-on experience working in a shop as well as real projects off-site. You'll learn best practices in layout, construction, material selection, sustainable materials, green building and preservation. Boat Building and Repair: This degree program teaches skills in building and repairing boats. You’ll learn to work with both wood and fiberglass, as well as how to test, maintain and repair onboard electrical and mechanical systems. Continuing Education: These evening and weekend non-credit classes teach students of all backgrounds the basics of carpentry and woodworking. Want to learn more? Contact us and take a tour of the Wood Technology Center to explore the campus and learn more about our programs.